Texas isn’t exactly New England when it comes to turning trees. Even so, there are still some absolutely breathtaking places for experiencing the fall colors of Central Texas – just a day or weekend trip away from Kyle. One such area is the Lost Maples State Natural Area in Fredericksburg, about 86 miles northwest of San Antonio. 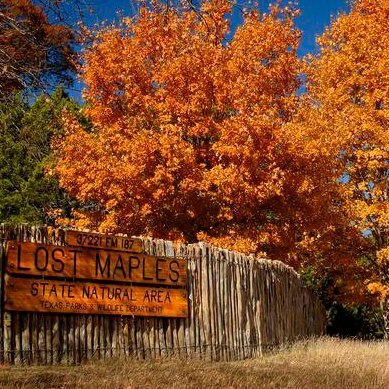 Lost Maples is one of the most popular places for seeing the changing trees in the whole state, with over 200,000 visitors to the park a year. The natural area covers 2,000 acres and includes 11 miles of hiking trails, camping sites, and fishing in the Sabinal River. The area predominately features big tooth maples, and in the past week or so, the trees have changed to display some bright colors along the main road. The drought of the past few years has been challenging for the trees in Central Texas, but the last cold front and the recent rain in the area has made a difference in the color show. 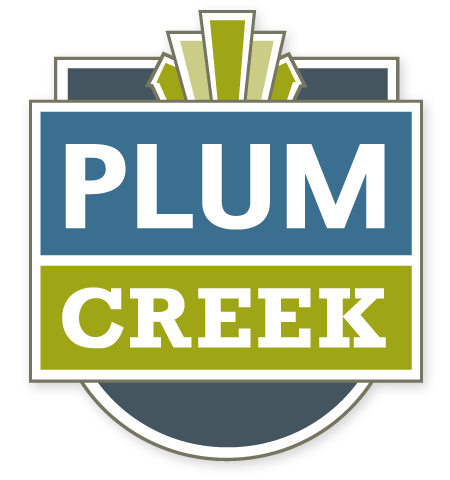 The next color change this season will be the Red Oaks, which will turn in late November and early December. So bundle up and hop in the car this week for a beautiful day amid the trees, for a hike, or a picnic to catch the colors in their prime. Weekends, of course, are the most popular time for witnessing the colors so make the journey on a weekday to get the most out of the experience. The Devils Backbone, Ranch Road 32 from Wimberley and Blanco, is another great place for a beautiful drive to see fall colors in Central Texas. The Devils Backbone is a winding journey through the hills and canyons of the Hill Country, and both sides of the road are riddled with trees, which seem to go on for miles and miles in either direction. And this time of year they are even more breathtaking than usual. 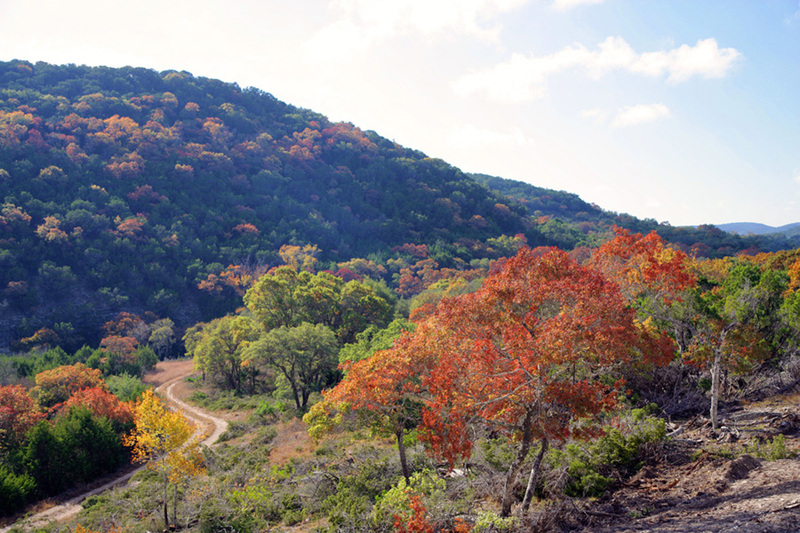 Further west, the scenic drive from Camp Wood to Leakey is another excellent spot for witnessing fall colors. The route has been named one of the most scenic drives in Texas, with roads climbing some of the highest elevations in the Hill Country at over 2,300 feet, and numerous roadside lookouts that offer great views of reds, greens and golds. So, this week before or after the Thanksgiving celebrations begin, pile the family into the car for a day trip out to the Hill Country to catch Central Texas trees in one of their most beautiful states.